This cute family handprint and footprint tree is the perfect way to keep track of your fall bucket list and it's fun to make with kids using only a few simple supplies. 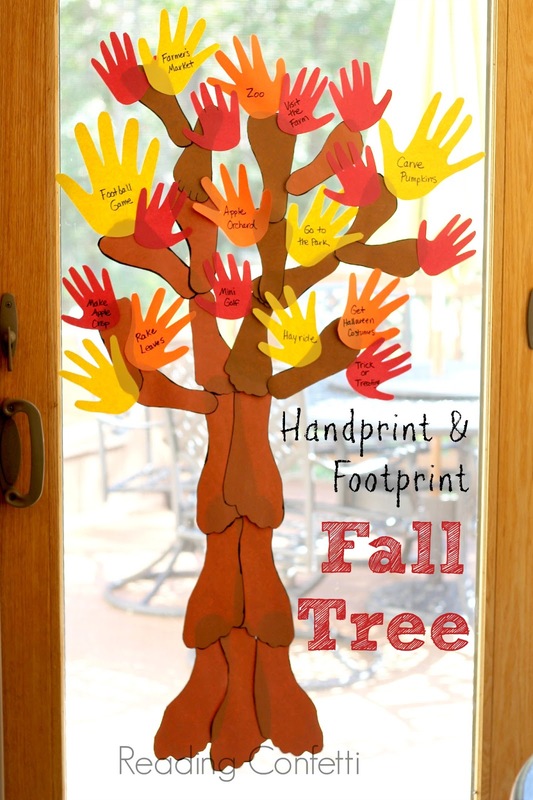 I wanted to do an updated version of our handprint and footprint tree and I thought it would be fun to involve the whole family. 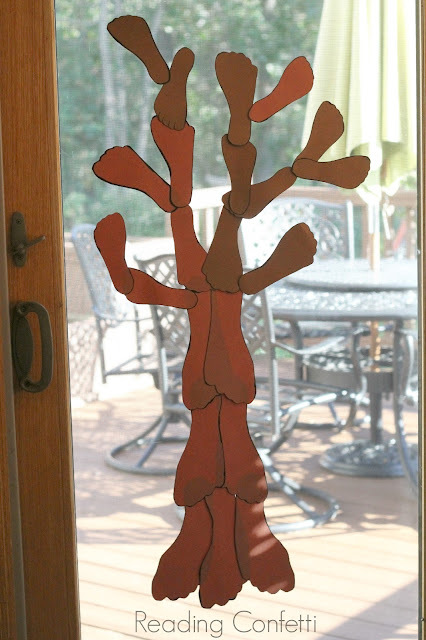 We made a big version this time and put it on our sliding glass door. 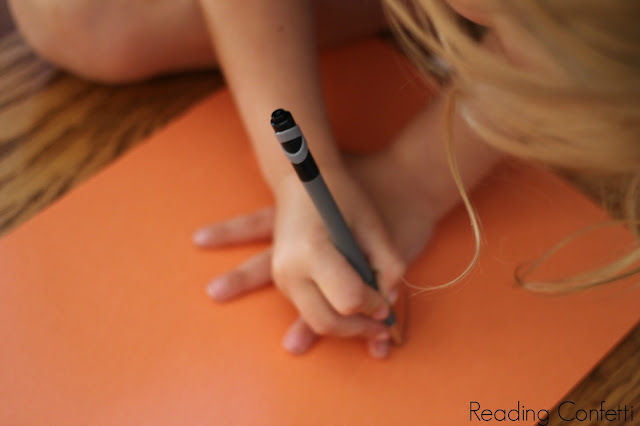 We traced our hands and feet onto construction paper and cut them out. Brown construction paper for the footprints and red, orange, and yellow construction paper for the handprints. I arranged the footprints into a tree trunk shape. 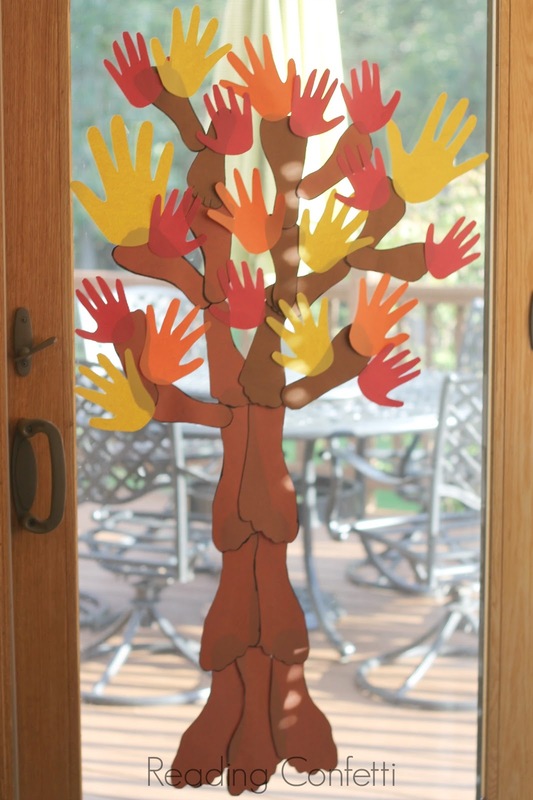 I used a little tape to stick them to our glass door. The handprints went on next to represent the leaves. This was where I was going to stop, but then I saw Creative with Kid's fall activity tree, so we added our fall bucket list to the leaves. We listed things like raking leaves and carving pumpkins. As we complete each activity, we'll move the leaf to the bottom of the tree. 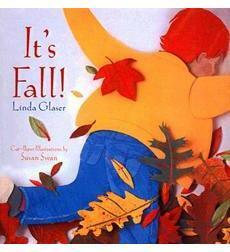 We read It's Fall by Linda Glaser to remind us about all the things we like to do this time of year. 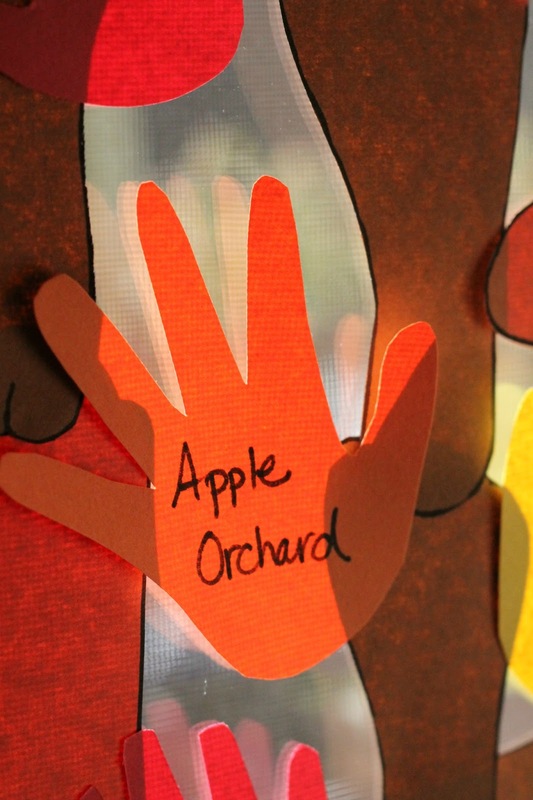 A young boy describes what happens to animals, plants, and people in the autumn. There's a long list of seasonal nature activities at the end of the book that was perfect for getting us brainstorming fun fall activities. What a truly fantastic idea - I love it, and have pinned. This is awesome. 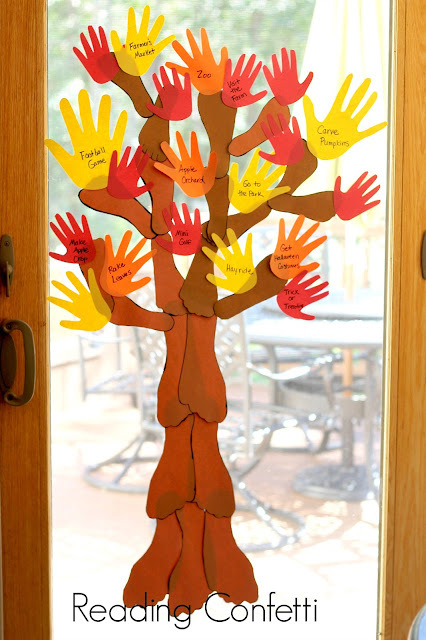 We will have to make a family tree too! Pinning on my fall board! This will be a great art craft to do with my preschool class! Thanks.